National Libraries Day is a huge celebration of libraries, championing staff and communities across the UK. 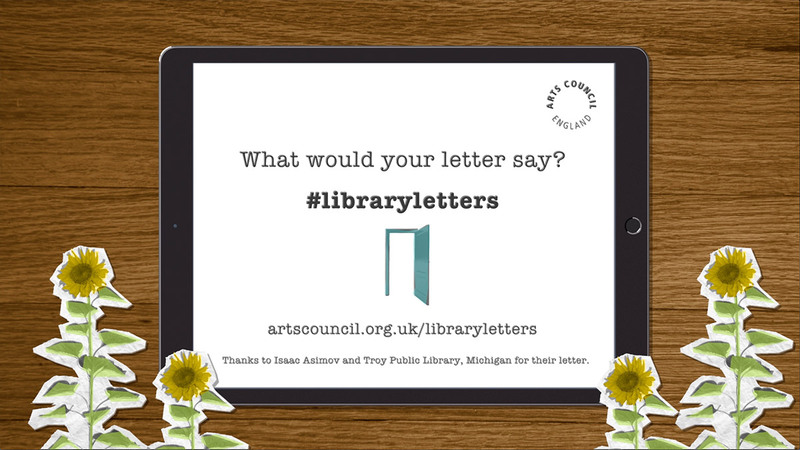 As the national development agency, Arts Council England saw this as the perfect opportunity to use their creative voice and begin a positive conversation about libraries. 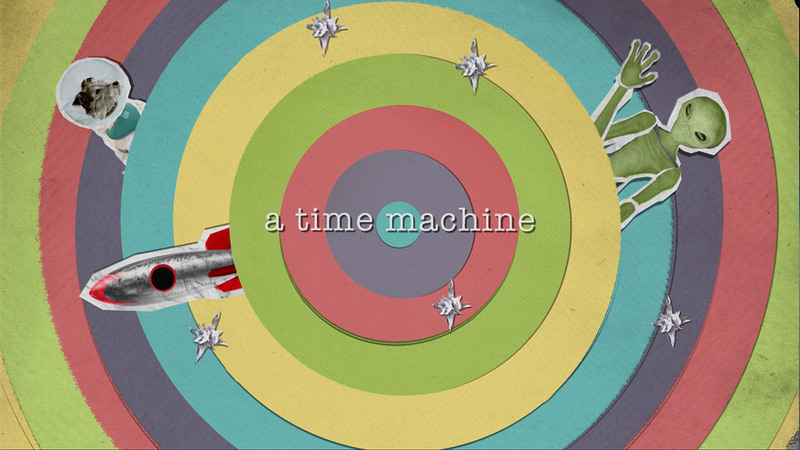 Part of the conversation was an animation inspired by a moment in history. 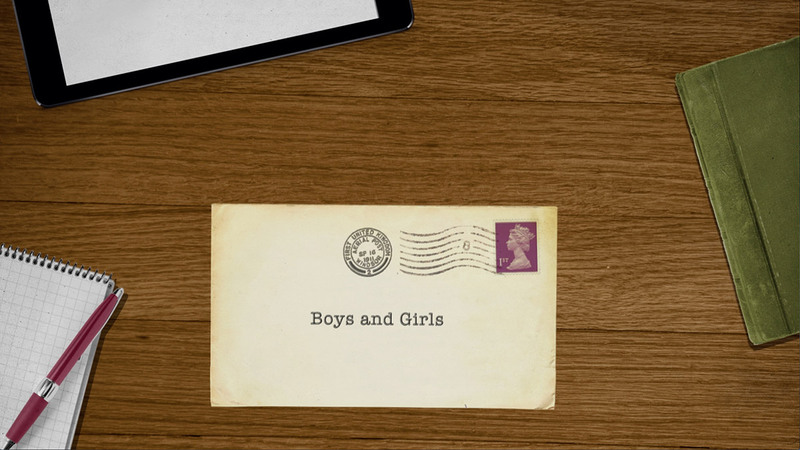 In 1971 people of note were asked to write letters to the children of Troy, Michigan in celebration of their new library. 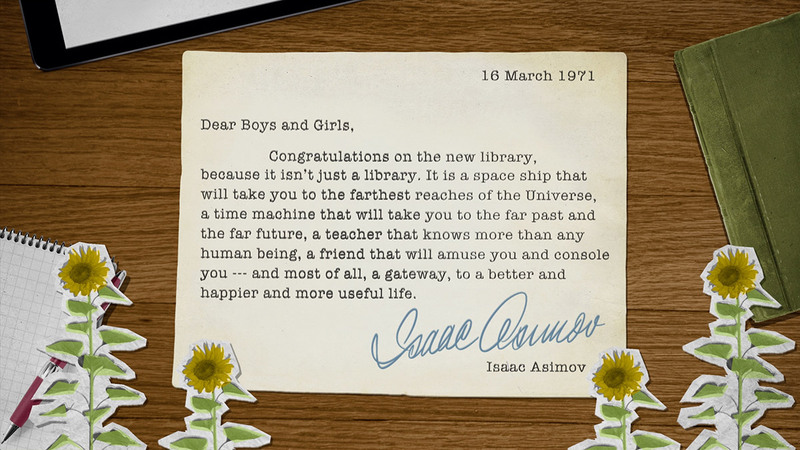 The letter that was brought to life through our animation was written by American writer and professor, Isaac Asimov. 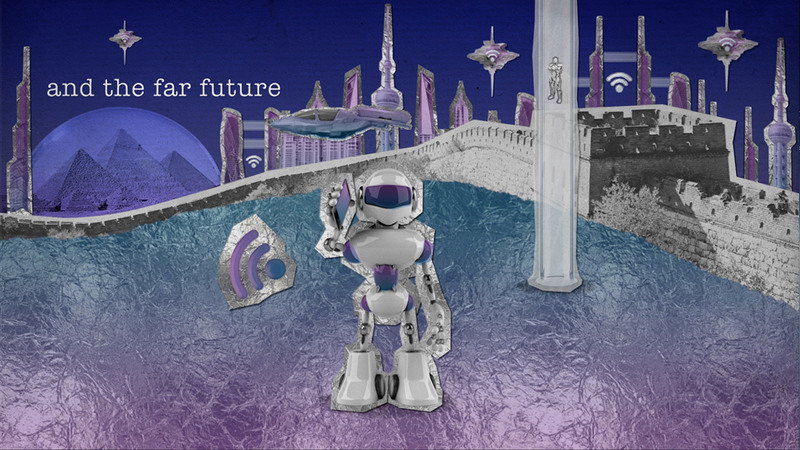 Using the physical form of the letter, we brought Asimov’s inspiring message to life through a minute-long stop motion style animation. We created a paper craft world in which the viewer is transported into Asimov’s letter on a journey of discovery and exploration. A carefully crafted world of visual content aimed to give viewers a sense of libraries’ warmth and history, whilst generating curiosity and intrigue around their future. 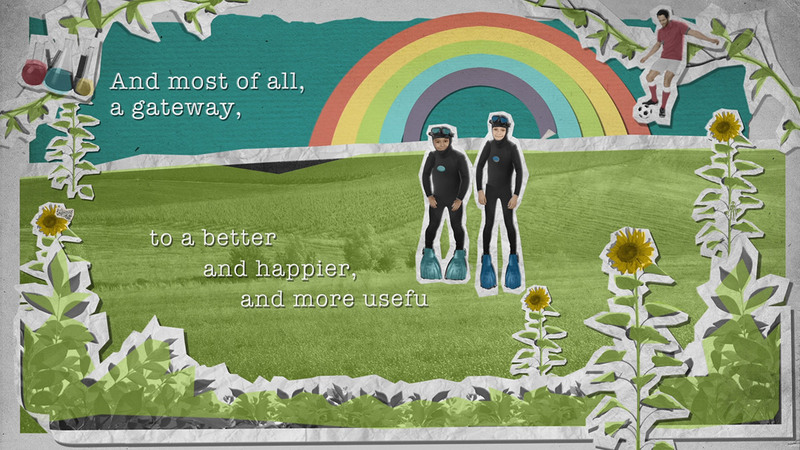 A child’s voiceover was used to give a sense of childlike wonder and education to the animation. The Arts Council England team felt is was ‘a magical piece of content’. The animation has had over 60,000 views through the Arts Council England Facebook page, showing it struck a chord with the online audience, going viral within 24 hours.